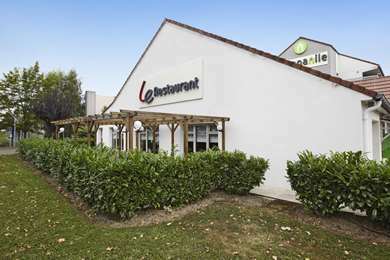 Located in the city center of Saint Quentin en Yvelines and a stone's throw from Le Golf National, the Campanile Hotel Voisins le Bretonneux is an ideal place for business or leisure breaks. 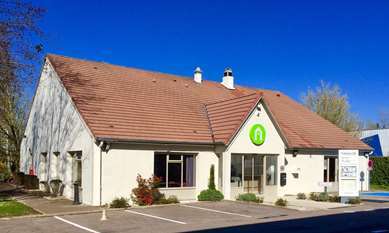 The hotel is only 10 minutes' drive from Montigny le Bretonneux SNCF railway station where you can catch the train or the RER suburban express to Paris. A12, A13 and A86 motorways also are easy from the hotel. Both SQY OUEST & Velizy shopping centres close to the hotel (10 minutes' drive). you'll find there more than 100 shops, and various activities such as movie centers, restaurants, kids aera, etc. Our hotel also is an ideal starting point if you wish to wisit the aera. Indeed, the renowned Château of Versailles and its events (the Grandes Eaux fountain show, fireworks and exhibitions, etc.) are only 15 minutes away by car or on a direct bus. Whether travelling for business, all major business centers are located within an easy reach : the Plateau de Saclay (the so-called European Silicon Valley), Bouygues, Magny les Hameaux (Hilti) and the Renault Technocentre are only 10 minutes far from the hotel. 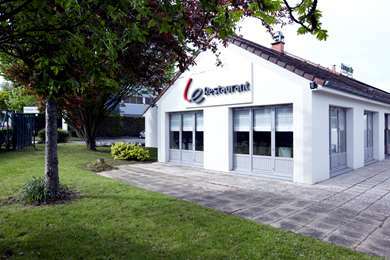 The offices of Europcar, Sagem Safran, Rockwell Automation and others can be reached on foot. The hotel also offers a meeting room for rent. It overlooks the garden and is completely fitted out (paperboard, beamer, etc). For any information, please contact our staff. 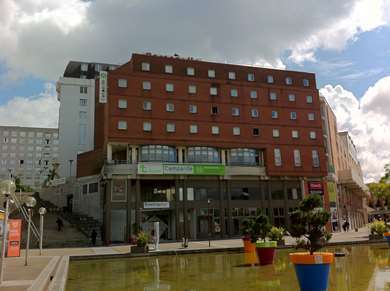 The Campanile Hotel Voisins le Bretonneux also offers a free wifi access, a new generation restaurant as well as a lounge bar. 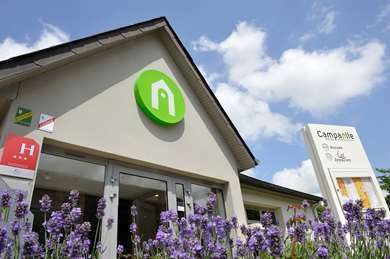 The Campanile hotel Voisins Le Bretonneux, offers 53 comfortable and welcoming rooms. Each one of our rooms is comfortably fitted with quality bedding, a private bathroom, a free wifi access, a LCD TV, and a working aera including a desk. The hotel has access for guests with reduced mobility and there are also specially adapted rooms which comply with the 2015 standard. Our 3-star hotel in Voisins le Bretonneux also offers 3 rooms adapted to comply with the 2015 standard for disabled access. Hotel Campanile offers a full breakfast from 6:30 a.m. to 9:00 a.m. for the weekdays and 7:00 a.m. to 10:00 a.m. for the weekends and festivals so you can get a good start to your day. Choose your own breakfast from fruit juice, hot drinks, cereal, pastry, & breakfast meats. For lunch or dinner, the Campanile Hotel Voisins le Bretonneux will satisfy all appetites with its delicious menu and buffets. Its pleasant restaurant is open for lunch from noon to 2 p.m. and for dinner from 7 p.m. to 10 p.m. You can also order room service until 10 p.m. 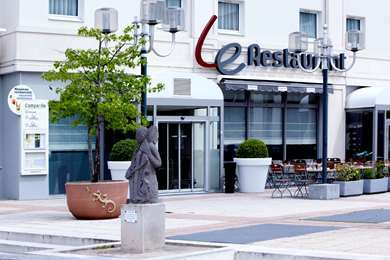 The "new generation" Campanile Restaurant Voisins de Bretonneux offers seasonal cuisine, starters and dessert buffets. It is possible to book a private room for family get-togethers or business meals for up to 30 guests. The hotel also has a lounge area available for guests' use from 07:00 to 23:00, where you can relax or read while enjoying a drink.